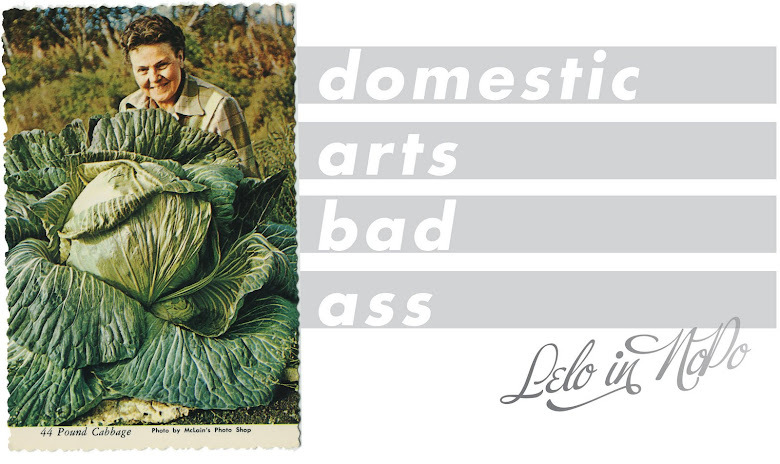 Lelo in Nopo: Squash for breakfast: is that a zucchini in your omelete? Squash for breakfast: is that a zucchini in your omelete? And the best part? I didn't make it. AdRi is La Reina of breakfast making here, and this was a wonderful omelet this past Sunday morning she whipped up with leftover grilled squash, chicken chorizo, cilantro freshly snipped from the garden, and one of my favorite cheese, queso fresco. I'm a fan of chorizo, but not a fan of the greasy pork chorizo. This is a chorizo flavored ground chicken we get from New Season's, and it provides the spicy flavor without the puddles of orange grease. Queso fresco is a Mexican cheese that crumbles easily, and is generally available in large grocery stores: salty and mellow, it provides a richness and tang. Cook 1/8 lb of ground chicken chorizo in a nonstick skillet. When done, add in a handful of previously grilled squash to mix the seasonings and heat the squash. Transfer to a plate and cover to keep warm. Whisk 2-3 eggs with a splash of milk and cook in the skillet until done to your liking. 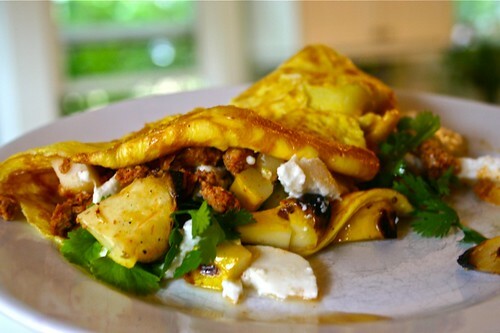 Gently fold in the chorizo/squash, and dress the omelete with fresh cilantro and crumbled queso fresco. And look at that. You just had squash for breakfast. That looks so very delicious. I want one!